Grand Banks 42 Trawler ‘Ariel Lee’ Delivery from Rowayton, CT. to Mathews, VA.
On Feb 08 2012, armed with 6 bags of warm clothes, bedding, tools, galley equipment and other cold weather life support equipment we arrived at the GB42 ‘Ariel Lee’ in Rowayton, CT. After making a brief inventory with the new owner, it was off to the nearest West Marine to purchase basic required safety equipment and spare parts. The next morning we completed our pre departure check list and got under way for Liberty Landing New Jersey, to top the fuel and water tanks. 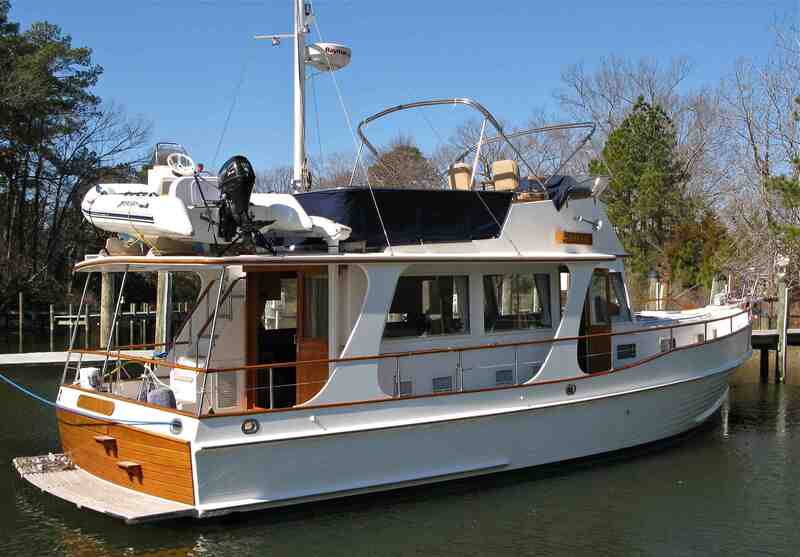 We also wanted to get a few hours running on a boat which had been sitting shrink wrapped and winterized for months, before venturing off the New Jersey coast . No major problems developed, so the next morning at 0630 we departed for Cape May, New Jersey. Running conditions offshore were good as far as Barnegat Inlet, and then the wind picked up to around 15 to 20 knots on the nose. Due to the strength, quality, and general heft of the GB 42, there was no need to reduce our speed below 12KTS, and we arrived safely at South Jersey Marina that afternoon, where we were able to take on fuel. The next morning the ‘weather window’ slammed shut for two days, with winds forecast at NW 30 – 40 knots, snow and freezing rain. We spent Saturday properly securing the new dinghy, rebuilding the overboard discharge pump, cleaning the fresh water strainer, replacing the shower sump pump, repairing life lines and removing the bimini canvas. Needless to say, outdoor projects were accomplished in small bursts with frequent warm up breaks inside the cozy salon of the GB. On Sunday we walked through snow and freezing wind to the Laundromat and grocery store, then spent the afternoon staying warm. 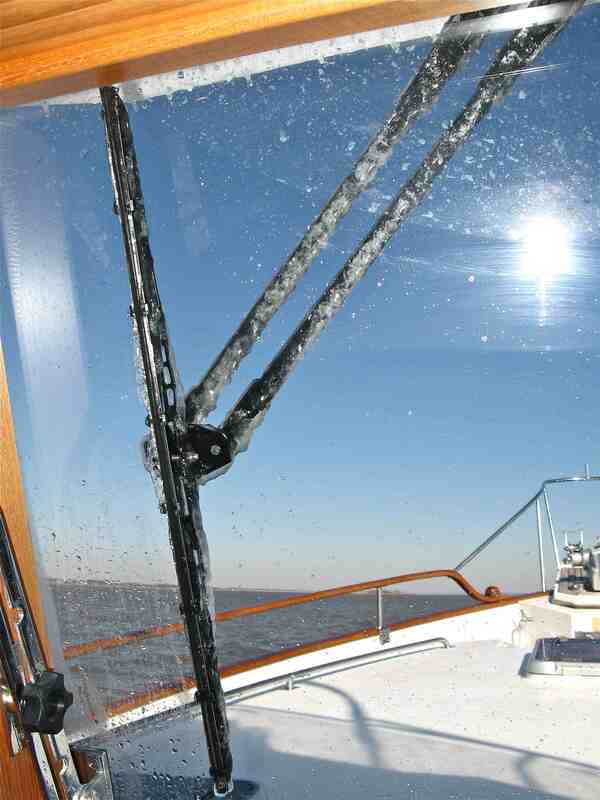 Monday morning, conditions had moderated, so we departed South Jersey at 0630 for Annapolis. 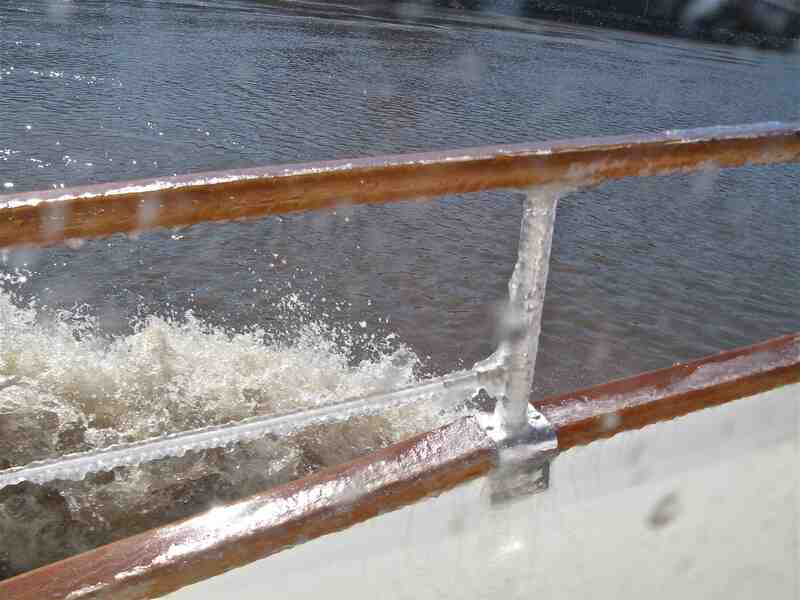 We took plenty of spray going up the Delaware and by the time we reached Annapolis Landing Marina we resembled an ice sculptor. We topped the fuel tanks but once again no water on the dock. Tuesday the weather moderated, and we had a pleasant run to Deltaville Marina where we topped the fuel and water tanks. We always try to leave the tanks as full as possible, as this is one less thing for the owner to worry about. Wednesday mornings arrival at Zimmerman Marine was slightly delayed by low tide, so we began our cleanup on the mooring outside the entrance in the East River, off Mobjack Bay. After completing our cleanup, we went over the ‘dreaded list’ with Zimmerman Marine and the owner Rob Kesler. That evening we had a delightful dinner with the Keslers at their house in Norfolk and departed the next morning in a rental car for Ft Lauderdale. Average GPH: 18 – 20 GPH with 450 Yanmars including generator time.